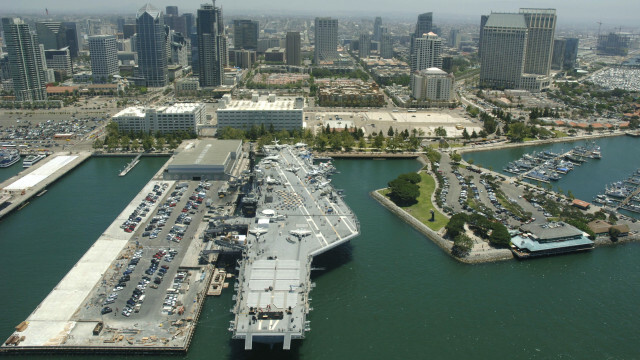 Two Memorial Day weekend events are happening aboard the USS Midway Aircraft Carrier Museum Saturday. At 9 a.m., a wreath remembrance ceremony honored the “Greatest Generation” for sacrifices made in World War II. An aircraft flyover took place during the ceremony. Stu Hedley, who survived Japan’s attack on Pearl Harbor, Hawaii, in 1941, spoke at the event. In a live broadcast on social media, he says “Aloha!” to the 44,000 Facebook fans that follow the USS Midway. At 7:30 p.m., the seventh annual American Freedom Foundation benefit concert will feature World Class Rockers, a group consisting of former members of Lynyrd Skynyrd, Steppenwolf, Boston and other classic rock groups. Tickets are $69.50 and $79.50, plus service fees. Proceeds will benefit the San Diego Armed Forces YMCA, USO San Diego and the Support the Enlisted Project. City News Service contributed to this post.